Arena 4 Finance - Congratulations to the HOSPA Award winners! Congratulations to the HOSPA Award winners! 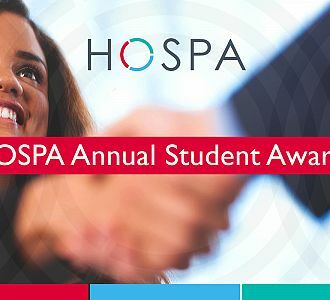 The 2016 highest achieving prize winners in HOSPA’s hospitality focused Professional Development Programmes in Financial Management and Revenue Management have been announced by the Association – the UK’s leading educational organisation for hospitality professionals involved in Financial Management, Revenue Management, Marketing and IT. The winners are the learners who achieved the highest HOSPA Professional Development Programmes’ scores, based on their results in each of the HOSPA examination categories for Financial Management and Revenue Management – completed in February 2016 and August 2016. Level 3: Strategic Revenue Management: Zena Carter, Revenue Manager, Farncombe Estate Holdings Ltd.
Cash prizes and certificates will be presented to the winning HOSPA learners at a brand new event on the HOSPA calendar – the HOSPA Annual Student Awards Ceremony, a stand-alone celebration dedicated to the achievements of HOSPA learners. The first such event will be held on 25 January 2017 at the Hilton on Park Lane, London, commencing at 2pm. Prior to the Awards Ceremony itself, the afternoon’s proceedings will start with a Panel Debate – chaired by Professor Peter Jones MBE, Chairman of the HOSPA Professional Development Committee – involving expert participants discussing ‘Developing the hospitality Financial Management and Revenue Management professional – the next generation’. In addition to the presentations to the award winners already named, the prestigious ‘Overall HOSPA Learner of the Year Award Winners 2016’ –for the HOSPA Professional Development programmes in Financial Management and Revenue Management – will be announced at the Ceremony and presented with their special prizes. The two top awards arebased on the highest combined course work and examination results, recorded in the 2016 HOSPA Financial Management and Revenue Management programmes. Commenting on the first ever HOSPA Annual Student Awards Ceremony, the Association’s Head of Professional Development and owner at arena4finance, Debra Adams said: “We are excited to launch this newly revised format, which will enable us to focus on the celebration of the achievements of our highest performing learners in the presence of their company sponsors. The event is centered on the professional development of the next generation of revenue managers and financial managers. It will enable our learners to network with industry leaders, whilst enjoying the hotel’s hospitality. Congratulations go to all our learners and prize winners, who have successfully completed each stage of their Financial Management and Revenue Management studies in 2016. We are very proud of them. They have all demonstrated outstanding commitment to their careers, combining study with demanding full-time roles in the hotel and restaurant industry. The deadline date for enrolment for the next intake is 1 March 2017 – for both the Financial Management and Revenue Management programmes. Both courses are available at three levels – Introductory, Operational and Strategic – each at a cost of £780 (ex VAT). For further information, visit: www.hospa.org/education; or email: education@hospa.org .